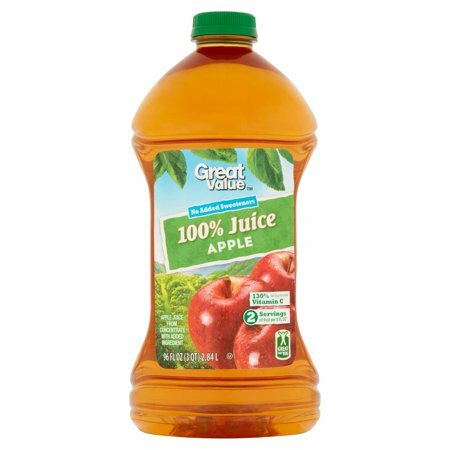 Your next party can be a hit among friends and family when you have a bottle of Great Value 100% Apple Juice in your house. This beverage has a delicious mix of carefully chosen ingredients, allowing you to savor every sip of the drink. It has no added sugar, and it satisfies 130% of your daily requirement of vitamin C, making it great for your health. This juice combines the taste, quality and variety of fresh and juicy apples in a convenient bottle that you can enjoy anytime, anywhere. 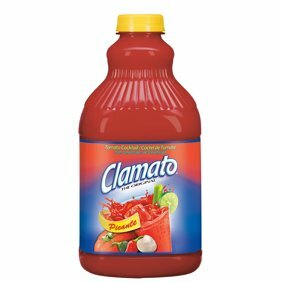 Good tasting juice. I will always purchase this over more expensive brands when the ingredient list is essentially the same. Kids don't notice any difference in taste. I enjoy drinking apple juice. It is nice and refreshing. I love apple juice, it is one of my favorites for getting the potassium I need for my body, I take fluid pills and loose a lot of potassium by sweating, so it replenishes what I loose.